Fibromyalgia: ‘Women’ and ‘Men’ Differences? I have based my unproven theory about why more women than men are diagnosed with fibromyalgia upon a feminist analysis of the political and cultural roles of women in societies in general- both historically and at present. However, now how gender is currently socially constructed and is much more fluid, it has indeed become a complex issue and not as straightforward as I previously thought. I have begun to look less at statistics in regard to the ratio of women to men because I believe that fibromyalgia is a catch-all term that includes all genders who suffer from chronic pain and fatigue and it is under-reported by many who define themselves as traditionally female or male. The concept of fibromyalgia developed as more and more women began to speak out about similar characteristics and symptoms which encouraged physicians to deem that it was primarily a condition that afflicted more women than men. 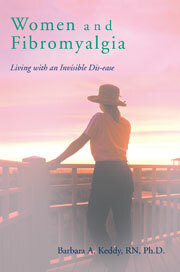 There isn’t any way to be accurate about how much of the population of any country has fibromyalgia. In many places there isn’t even a term for the condition; more to the point many traditional men have been hesitant to report the symptoms to a health care professional for fear of being seen as less masculine. There is little doubt that for bi-sexual and trans-gendered people the issues are even more complex. But, things are changing as more military personnel are reporting post traumatic stress syndrome, formerly known as ‘shell shock’ and then ‘Gulf War Syndrome’. This entry was posted in anxiety and fibromyalgia, bi-sexual people and fibromalgia, causes of fibromyalgia, emotions and fibromyalgia, Fibromyalgia, fibromyalgia is socially constructed, gender issues and fibromyalgia, LGBT issues with fibromyalgia, masculinity and fibromyalgia, transgendered people and fibromalgia on March 1, 2014 by Barbara Keddy.